Top global leaders are extremely upset with President Trump, and justifiably so, for his implementation of asinine mercantilist tariffs. The latest indication of the outage took place Saturday in Whistler, British Columbia, Canada, where G7 finance ministers were meeting. 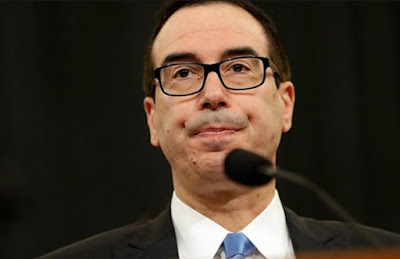 In a statement, the non-US finance ministers from the G7 expressed "disappointment" over unilateral trade actions taken by the US government and they issued the statement directly in the face of US Treasury Secretary Steven Mnuchin who was in attendance at the meetings. They asked Mnuchin to communicate their concerns to President Trump, reports CNN. Specifically, the six-non-US finance ministers that are part of the G7 said in a joint statement after meetings Saturday that "decisive action" is needed following the Trump administration's decision this week to impose steel and aluminum tariffs on its closest allies. They asked Mnuchin to express their "unanimous concern and disappointment" to President Trump and said discussions should continue at a G7 leader's summit next weekend which will be held in Charlevoix, Quebec, Canada. The G7 is made up of seven of the world's largest economies: The United States, Canada, France, Germany, Italy, Japan, and the United Kingdom. Despite the statement, things are likely to get worse on the international trade front. Indications are that Trump is considering high tariffs on German cars imported into the United States. It's always amusing to see what wakes folks up. The leaders of those nations don't have any issues with crony capitalism internally in their own countries, when they're setting the rules, but when someone else is picking favorites, WE CAN'T STAND FOR THAT! Also, why don't these leaders have any spine to also stand up to the US when it comes to foreign aggression and global destabilization?